Want to get pricing? Please completely fill out the form below and our experts will be right with you! Where Pittsburgh comes to life. 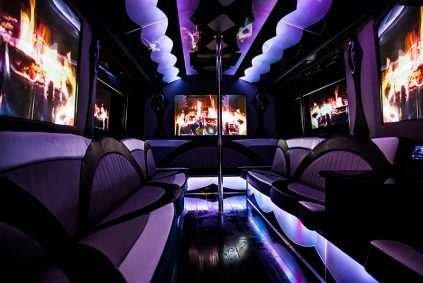 Throughout the years of being in service, Pittsburgh Party Bus has been driven to be the absolute most successful limo bus company in all of the greater Pittsburgh area and also surrounding larger cities. With a history of hard working and family-centered people, Pittsburgh is the perfect city for us to serve. Without this amazing city, there's no reason for us to provide luxury transportation service and for that, we thank you. Even though we're "just" a limo bus company, we feel that we provide a lot more than transportation. We provide a warm, welcoming, service which goes above and beyond in the name of quality. Our chauffeurs' only responsibility, other than getting you to and from your destination safely, is to ensure that you have the time of your life when you use our Pittsburgh Limousine service. We provide top notch customer service on top of your transportation. 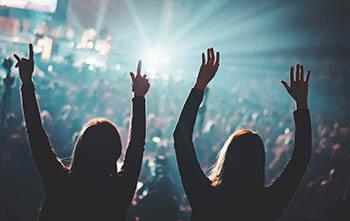 We really believe in giving you the ultimate experience on the road, whether you're heading out with a bus load of your coworkers, a set of your most valuable clients, or just all your best friends and family for a night out on the town! That's right, we service both business events and party events, and our vehicles can easily work for either purpose. No matter what the purpose of your trip is, traveling in comfort is always a top priority, and there's no better way for a group to do that than with us. 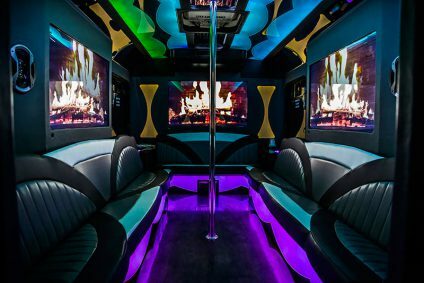 We do a whole lot of bar hopping trips, taking our locals to the hottest nightspots in town, hitting up the bars and clubs to try some of the tastiest cocktails, continuing the party on the bus thanks to the built-in bar, and being safely picked up and dropped back off at home at the end of the night! Your professional chauffeur is your designated driver for the evening, so even if you get really wild, it's all good! You can just relax and enjoy yourself. It has always been the belief of everyone here at our company, that it is the people that matter. Both you, our valued clientele, and also the great people who tirelessly strive to provide you with the outstanding party buses and limousine services and vehicles which keep you coming back! Our success is a testament to the soundness of this philosophy, and we pledge to always put the people first. 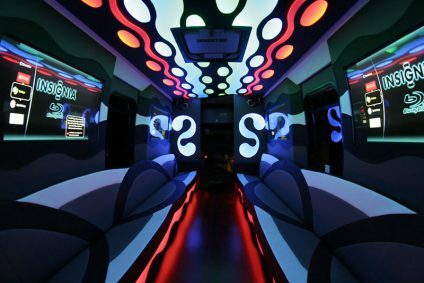 Great quality Party Bus Service with our service. Rest assured, you're in good hands. Not only do we hire the most professional and well-trained chauffeurs around, but we drug test them on a regular basis to ensure that you will be 100% safe on the road with them. An amazing evening begins with an outstanding driver, and we've got a whole team of them on call. Use our vehicles for any event you might be going to. It doesn't matter if it's a high-class business event, a relaxing night of pub crawling, or even an elegant wedding. We've got vehicles that are ideally suited to your particular needs and you're welcome to tour them! Take a look at our fleet page or come see us in person! We can't wait to show you what we've got. When it comes to quality, you've come to the right place. Trust the best in Pittsburgh! We buy each of our fleet brand new and maintain them in like new condition for the life of the bus. WE inspect them on a regular basis and clean them till they're sparkly after each and every trip! You will absolutely feel like a prince or a princess when you travel with us! With our affordable top quality buses, we strive to give you the greatest quality of service at the most affordable price. We like to fit our prices within your budget, not the other way around, and we know all the tips and tricks for making your evening a more affordable one if necessary! Plus, we'll never tack on unnecessary fees. All our pricing policies are outlined cleanly in your contract. No surprises at the end of the night. Simply give us a call and let's see what we can do to keep the dollars low and push the fun up sky-high! 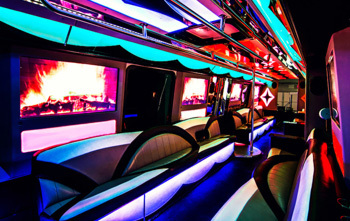 Try a night out on the town with Pittsburgh Limo Bus. You're sure to have a great night! Not only will you feel utterly safe on the road and completely enveloped in the lap of luxury, but you'll be able to travel with all of your loved ones in one vehicle, enjoying the night together, whether you're bar hopping with friends or heading to game day at PNC park with family! You'll likely add at least an hour of togetherness to your evening, even if you aren't traveling far! In this fast-paced world, isn't it nice to chat face-to-face and have that time together? Let us make it happen for you! 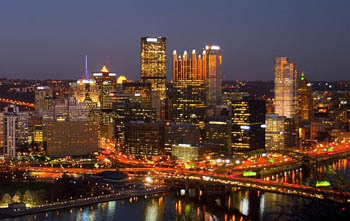 Copyright © 2014-19 Limo Bus Pittsburgh | www.limobuspittsburgh.com | All Rights Reserved.